We figured out this past week that Miss Tallia gets super fussy and gassy in the evening if I enjoy any sugary treats. Poor little Miss had such a hard time the other night. Her tummy was not happy. Over a few days and through process of elimination, we found that desserts and other little treats did not make baby girl happy. Hubby says she's just trying to keep me healthy...which is what she did when I was pregnant with her too! Any treats eaten gave me horrible heartburn. I'm just glad we know what I need to eliminate to make her feel better. I hated knowing something I was eating was causing her discomfort. Our days and nights have been much calmer now. She has also figured out her days and nights. Hallelujah! She may not go down for the night till 10 or 11, but once she does she only gets up for feedings every three hours. We've got a routine building here....one I'm very thankful for. On another note, yesterday I had a long two hour nap in the afternoon. It was glorious. I nursed Tallia and then we both slept. I love my little cuddle bug. We are a semi co-sleeping family. 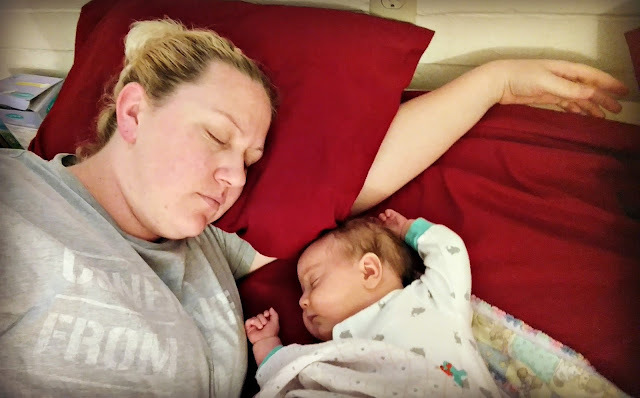 Meaning she sleeps most of the time in her bassinet, but sometimes for naps, early morning feedings, or when she needs extra cuddles we bring her into our bed. It's a good compromise. Jason use to be against co-sleeping, but he's not so resistant now. He realizes sometimes our babies just want to be held. She was held for nine straight months in utero. It makes sense she still wants mommy and I'm ok with that. I treasure each and every snuggle. We all do. No sugar? Oh, I feel your pain, Mama! My younger two have both had troubles when I eat Chocolate. Thankfully they grow out of it, but it can be hard! 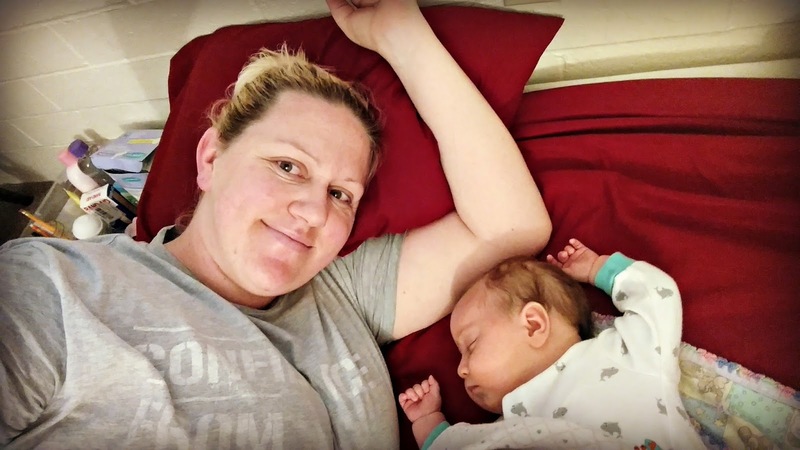 Such sweet photos of your new little bundle of joy! Enjoy those newborn snuggles. They are so fleeting. I swear I blinked and now my baby is 1!